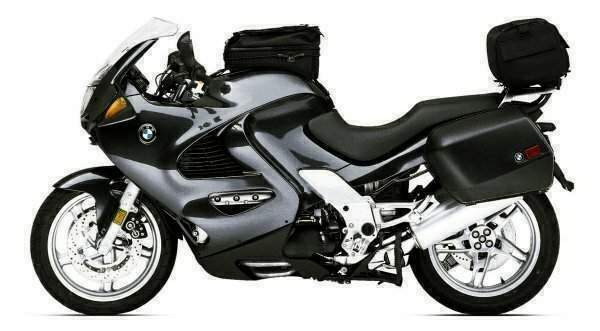 Launched in 1997, the K1200RS is a true heavyweight sports tourer. 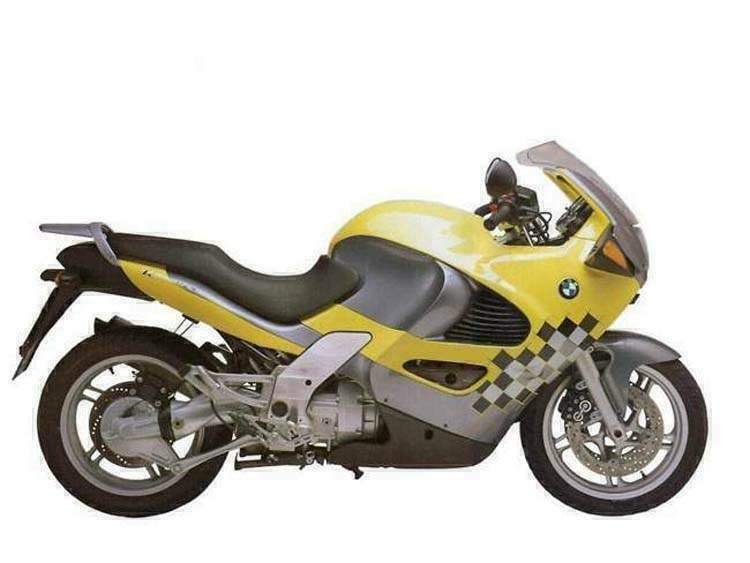 The most powerful BMW motorcycle available by 1997, the RS is powered by an inline-four, 1171cc four-cylinder engine mounted horizontally along the bottom of the bike. Bosch Motronic electronic fuel-injection supplies accurately metered fuel, and a catalytic converter in the exhaust cleans up emissions to below legal limits. Producing 97kW (130bhp), the K1200RS engine is also used in the K1200LT tourer, and is the latest 16-valve version of the long-running K series of engines, which first appeared in the K100 eight-valve design of the early 1980s. A full sports-touring fairing encloses the engine and chassis in a slippery aerodynamic plastic cocoon. The rider is similarly protected: the broad screen guides windblast up and around the rider and pillion, and scoops below the fuel tank allow the rider's legs to tuck in. The RS is also adjustable to suit: the screen, seat, handlebars and footpegs are all movable to exactly fit riders of different sizes. dive under braking that they would be very uncomfortable over bumps. The rear suspension is the usual Paralever single-sided shaft-drive arrangement common to BMW's large-capacity machines. The latest version of BMW's ABS EVO front brakes ensure safe, rapid stopping even under difficult conditions. Optional accessories, such as heated grips and luggage systems, can turn the K1200RS into an even more capable grand tourer. The sports part of the equation is less obvious - at 285kg (6271b), the K1200RS is too heavy to offer anything like modern sportsbike performance.